Foster the People in Montreal or Quebec City? 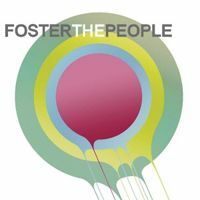 Inform me about the next events for Foster the People. Enroll yourself to our priority waiting list for Foster the People to be alerted when new tickets are available. Filling this form doesn't engage you to any purchase. Foster the People will be stopping by Montreal on August 1st, 2014, as part of the Osheaga Arts & Music festival. The band will be performing alongside Outkast, Skrillex and many more. Don't miss Foster The People's return to Montreal this summer !